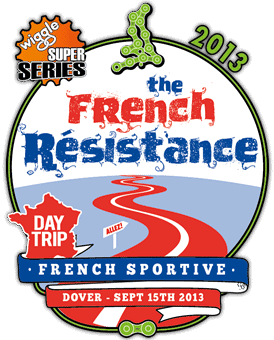 The Wiggle Super Series have added a second France day trip sportive to their calendar for next year, The French Resistance, which will take place on Sunday 15th September. The new event follows in the footsteps of their French Revolution Sportive that was first introduced last year and which has already sold out for 2013. Taking place on Sunday 15th September and following the same format as the French Revolution Sportive the event includes ferry crossing from Dover to Calais followed by a ride in France before returning back on the ferry at the end of the day. There will be a choice of 2 courses, the 72 mile Epic or 62 mile Standard with both routes will explore the amazing North Coast and National Park. 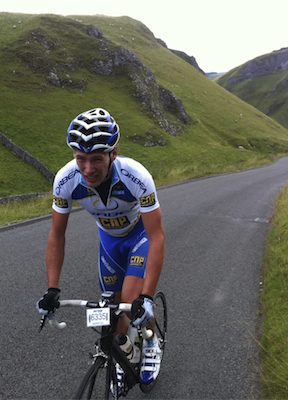 The French Resistance courses differ from the already sold out Wiggle French Revolution, although based in the same area the French Resistance route is slightly hillier and has several high quality climbs to test riders. The routes starts with a perfectly flat 7 miles as you head along the coast road to Sangatte. Then the course becomes a little hillier as it heads in land to the enchanting and breath taking national park ‘ Parc Naturel Regional Des Caps et Marsia D’Opale’ . Here the route splits after the first feedstation, The Epic course heads for a extra 10 miles which includes 2 additional quality climbs. The route then joins up again and head west back to the Spectacular coast line. Now heading north back towards Calais you will pass Mont Duez, Mont de la Louve and pass Wissant before the last climb of the day at Mont d’Hubert. The stunning Mont d’Hubert & Cap Blanc Nez, is steeped in History from WWII. With forts and bombing creators clearly visible on the cliff tops. As you pass over the Cliff top at Mont d’Hubert you will have unspoiled views of the English channel and the White cliffs of Dover and a perfectly flat 7 miles run into the Finish at Calais ferry port.